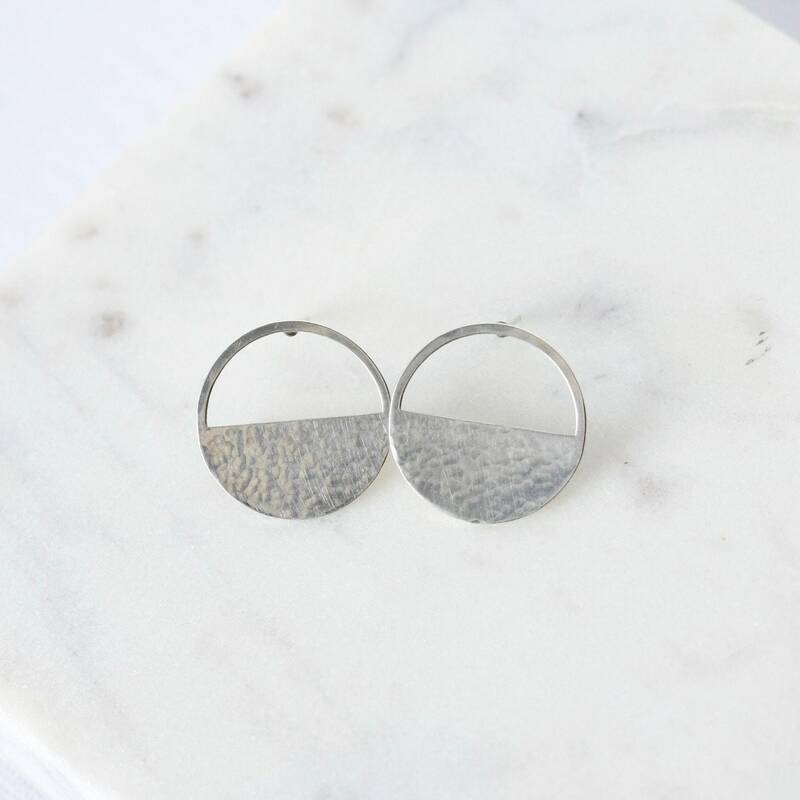 Modern and minimal describe these pair of chic geometric studs. 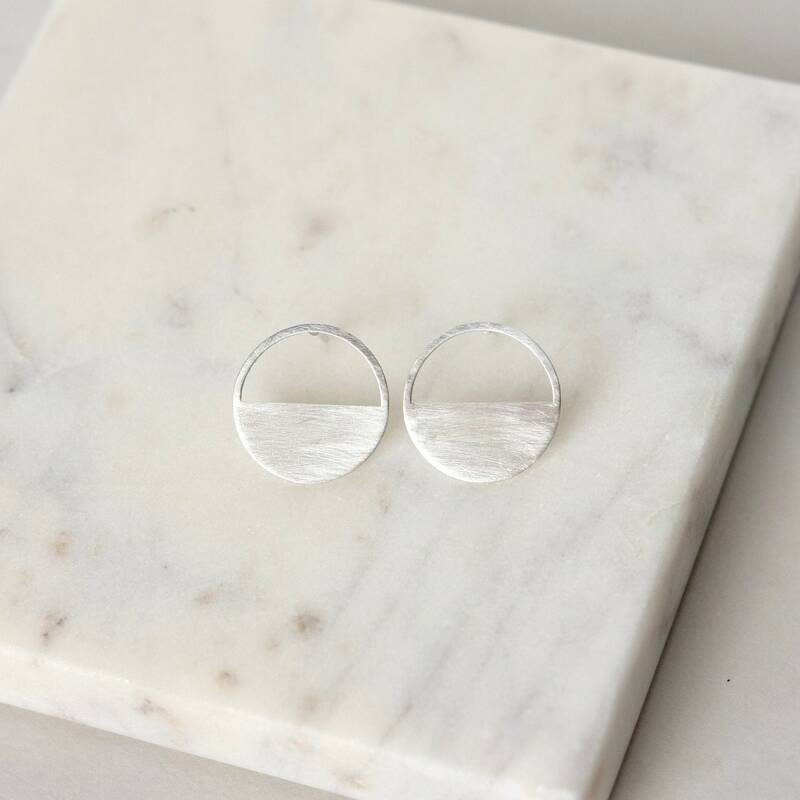 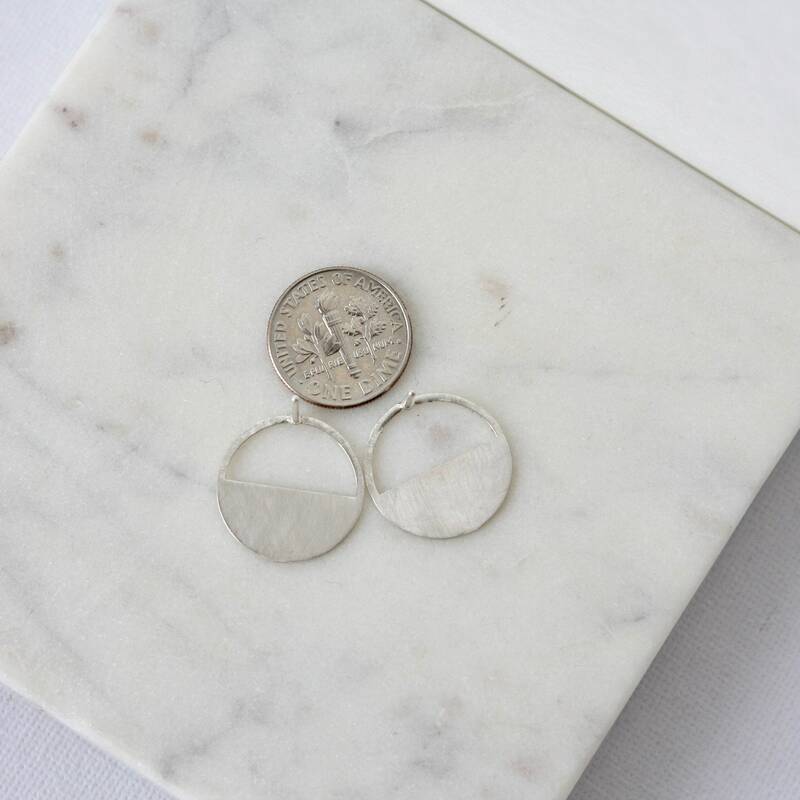 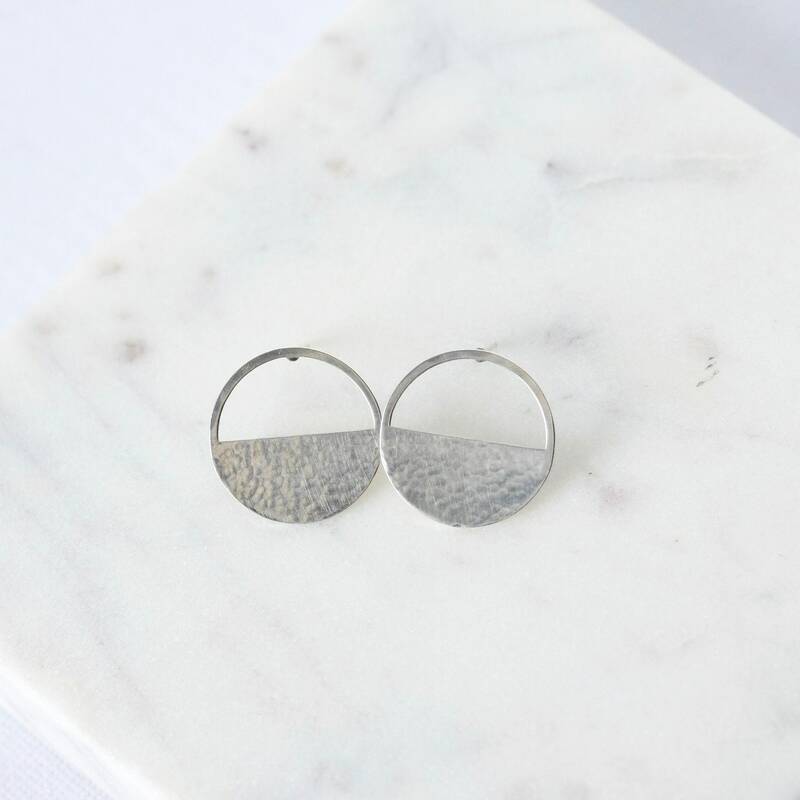 The geometric post earrings are made with 18mm sterling silver half-circles in your choice of finish - a hammered texture (first three pics) or brushed texture. 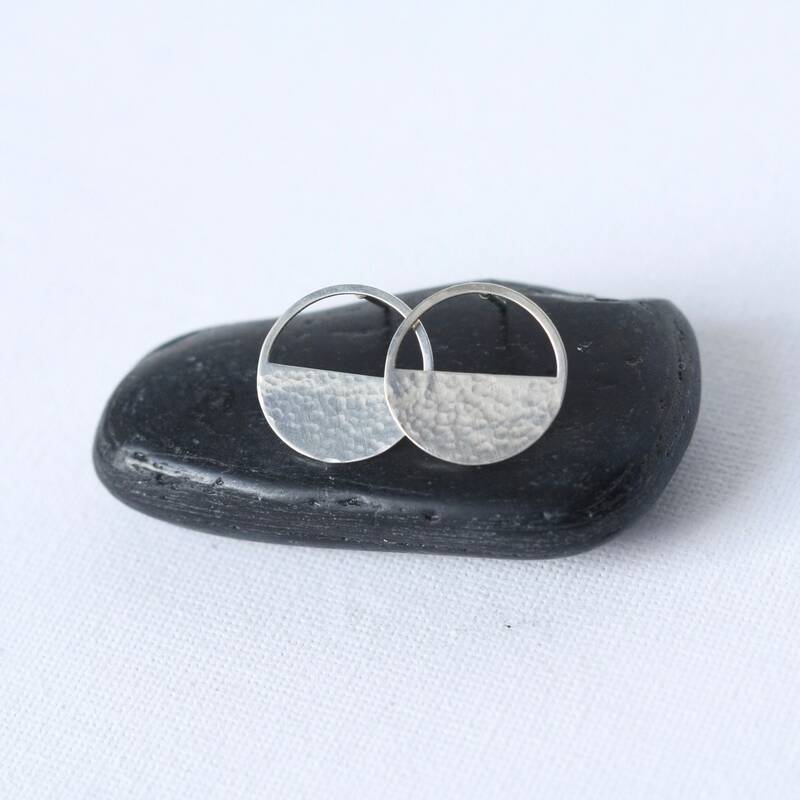 I've soldered sterling silver posts on to the back of the circles and they are secured with sterling silver backings. 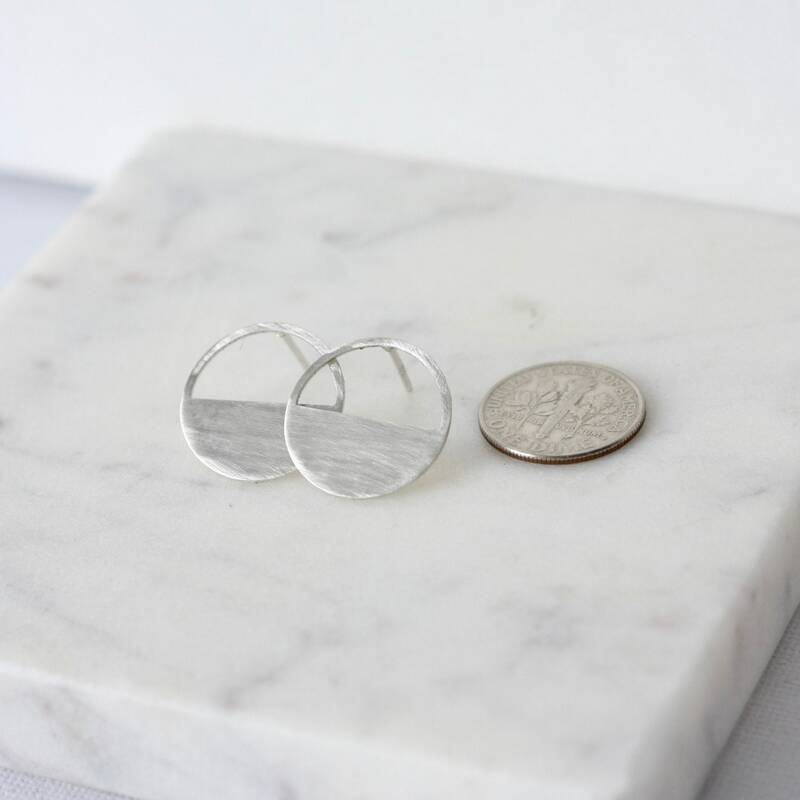 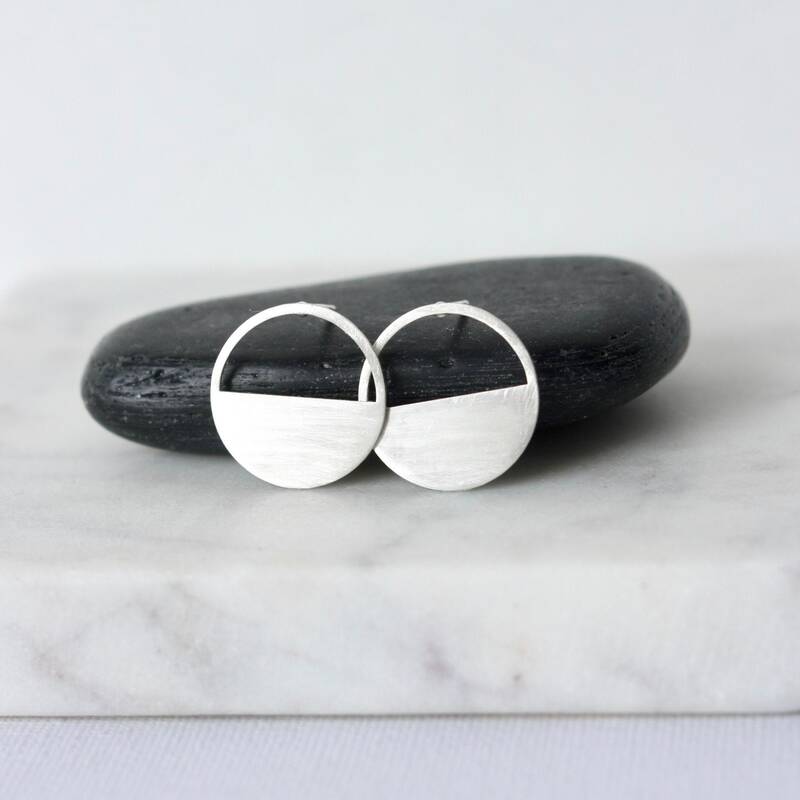 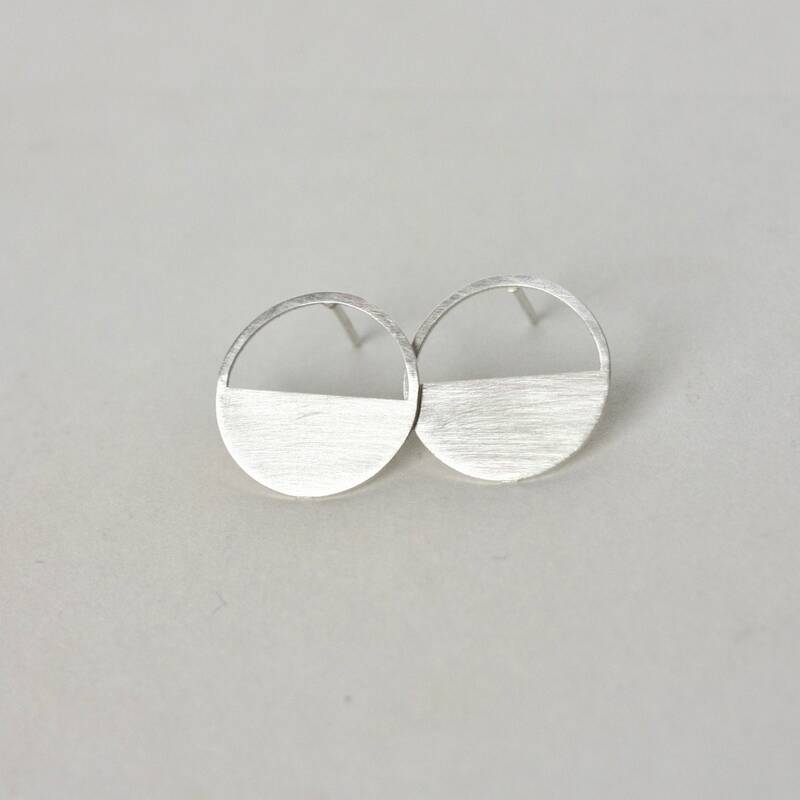 The earrings are super stylish and lightweight and comfortable to wear.